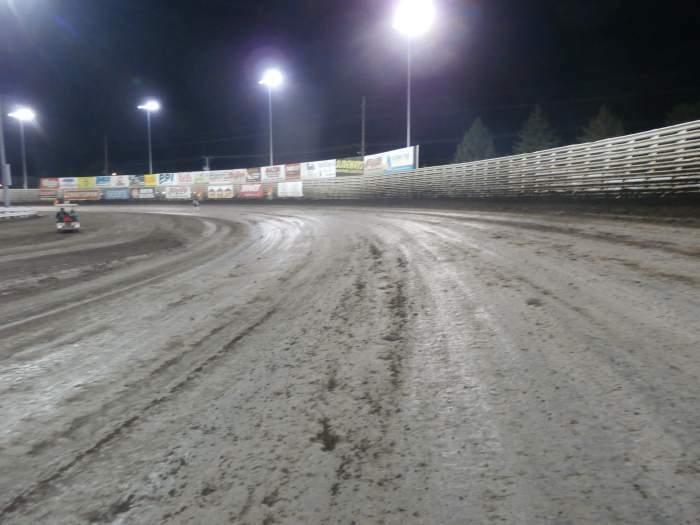 Location - The track is located just a few blocks away from Downtown Knoxville. If you're not staying in Knoxville the most likely approach point is Des Moines given it has a reasonably well connected airport. From the airport it's around a 40 minute drive via I-5. 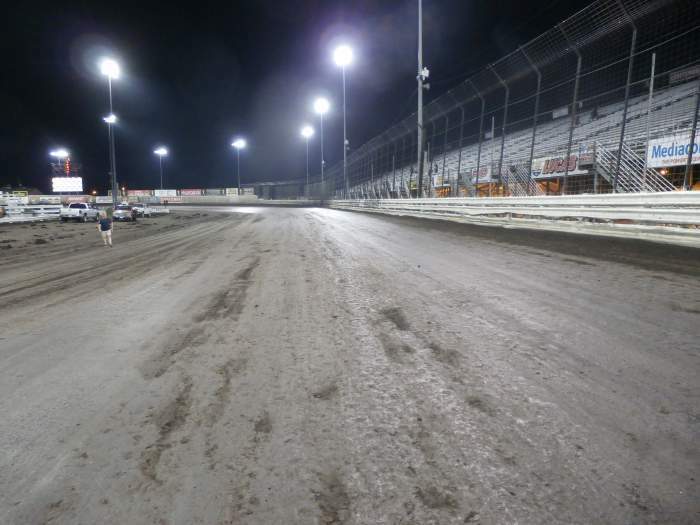 Once into Knoxville proper hang left at the first intersection and the track is literally a few hundred meters away. You can't miss the main grandstand. Parking - There is some room behind the main grandstand but it's not extensive by any stretch. Having only attended the Nationals it's hard to assess how things work for a weekly meeting. However for the Nationals there are several paddocks reserved for campers. Car parking is available but you may end up parking some distance away from the track. 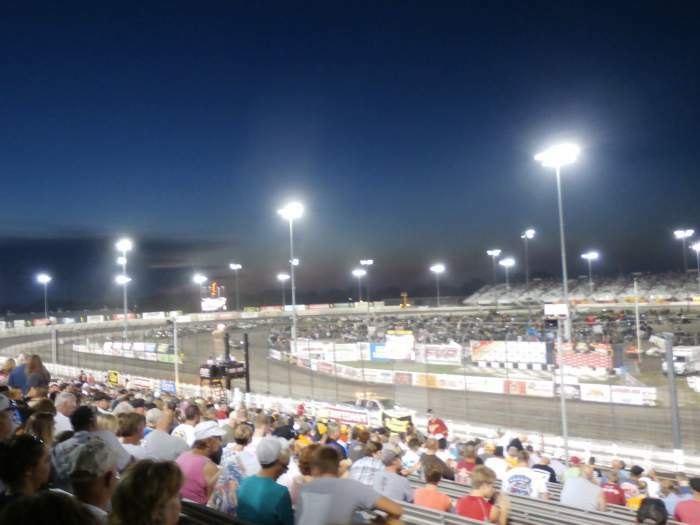 Premiere Meeting - The Knoxville Nationals is perhaps the premiere meeting in all of dirt track racing let alone Knoxville's annual schedule. Fans from around the world make the pilgrimage to this meeting. Also worth attending - The 360 Sprintcar Nationals or the Late Model Nationals are both events worth attending and both have potential to be bigger and better. 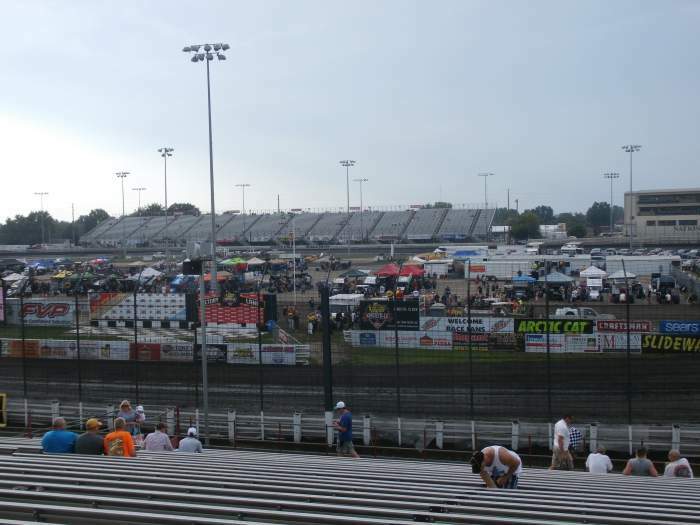 Best spot to sit - The main grandstand is something special. Looking at it from the back you would probably guess you're at a pavement oval such is the size and grand nature of the structure. At the lower levels the stand is a little flat with a more graduated banking as you move further up the stand. 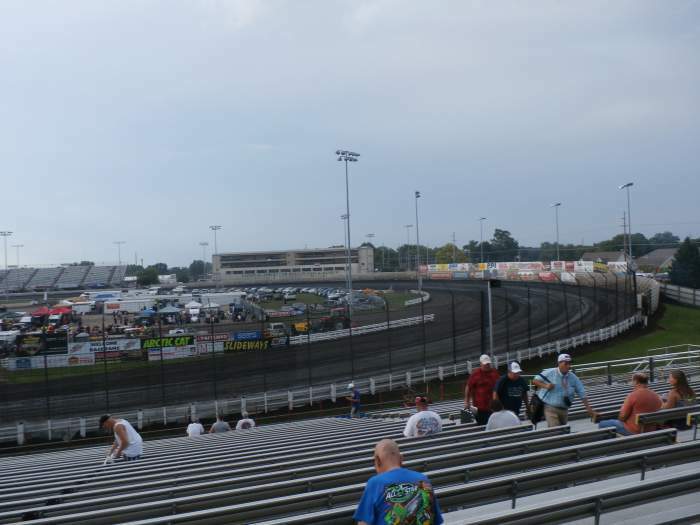 Given the track is a 1/2 mile aim for somewhere near the top behind the flag man. 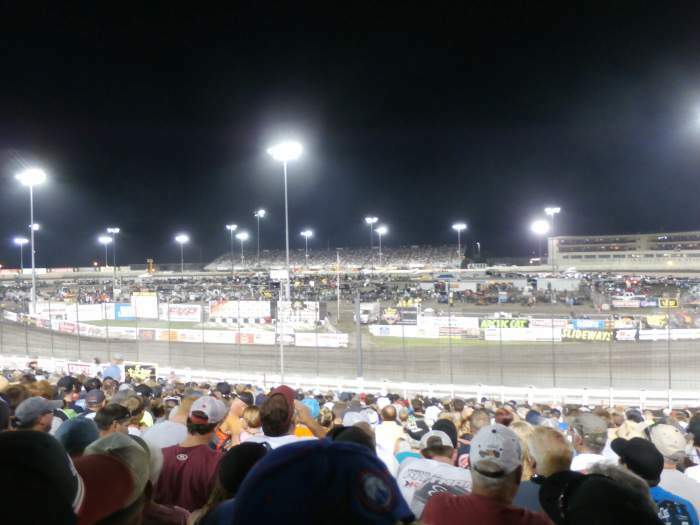 Classes run - 410 Sprintcars, 360 Sprintcars, 305 Sprintcars. Uniqueness - In terms of being a speedway facility Knoxville is in the elite category. 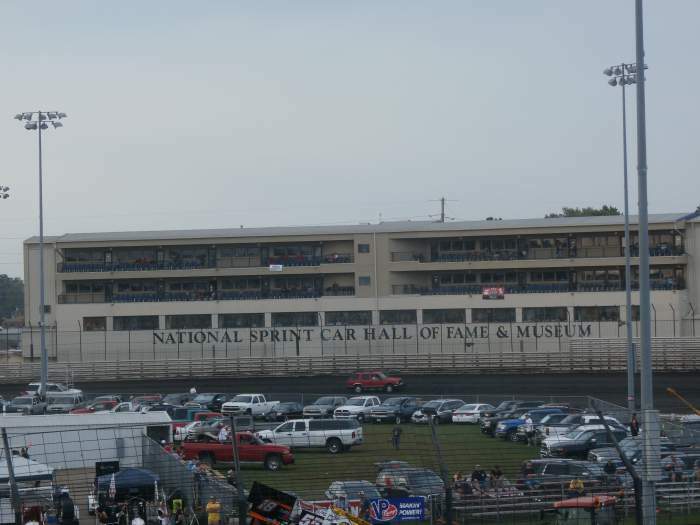 The self proclaimed Sprintcar capital of the world is flanked by the impressive National Sprintcar Hall of Fame behind turn 2. The track itself is two-laned and tends itself towards high vs low battles as well as slide jobs. The keys to success here are being able to change lanes with minimal speed loss and being able to clear a car after passing. If you don't clear you opponent chances are they will slide you on the next corner and bog you down in a multi-lap battle.